The Smiles on Bristol Dentistry team in Santa Ana, CA, offers many options for cosmetic dental treatments for our patients. Cosmetic Dentistry refers to dental procedures that improve the aesthetic appearance of a patient’s smile without necessarily providing any health benefit. Cosmetic dentistry can include veneers, implants, and teeth whitening. Tooth whitening is the number one requested cosmetic procedure. There are at home whitening kits, but patients who want the best results should have a consultation with either Dr. Kalantari or Dr. Arcila to get professional and personalized results. Teeth can also be reshaped either with grinding down small amounts of the enamel or with bonding which affixes an enamel-like mouth-safe substance to the tooth to smooth out roughness or irregularities. Dentists may also do different types of gum manipulation such as removal or reshaping to create an improved appearance. Veneers are ultra-thin pieces of porcelain fake teeth that are bonded to the front of a patient’s original teeth. This can fill gaps and can make teeth more uniform. They can also be used to conceal discolored teeth that are resistant to whitening. Come in to Smiles on Bristol’s Santa Ana office for a consultation on any cosmetic dental procedure. Our professional staff will be happy to guide you in the best possible options to get you the mouth you have always wanted! This entry was posted in Uncategorized and tagged dentist, dentistry, santa ana on July 31, 2015 by meara. Dental Hypersensitivity is a condition that affects almost every adult at some point in their life says Dr. Kalantari and Dr. Arcila of Smiles on Bristol Dentistry in Santa Ana, Ca. Have you ever bit into a popsicle and felt a sharp zap of pain? If so you probably have dental hypersensitivity. Teeth are most often sensitive to cold but they can also be sensitive to heat, touch, and even to certain chemicals such as sugar. Sensitivity is caused when the dentin of a tooth is exposed. Dentin is usually protected by enamel, cementum or the gums. It is made up of tiny tubes that connect to the pulp of the tooth. The tubules can either be open or closed. When closed there is no sensitivity, however when they are open they allow stimuli to agitate nerves inside the tooth causing the pain. Acid erosion and gum loss are the most common reasons for tooth sensitivity. Abrasion to the teeth such as overly vigorous flossing or brushing can also expose the dentin. Erosion removes the tooth’s protective layers of enamel and cementum. When the gums recede they expose the less protected dentin. Bleaching the teeth excessively can also cause tooth sensitivity. Red Heads are at a particular risk for dental hypersensitivity. They can have a particular gene that makes them less responsive to anesthesia. They may also have lower pain tolerances due to this gene which means they need greater amounts of anesthesia and pain reducers. Red heads who experience pain during procedures should consult with their dentist to see if greater pain reduction treatments need to be considered. Dr. Kalantari and Dr. Arcila are more than happy to work with patients to make sure they are comfortable and pain free at every visit. Saliva naturally helps to reduce dental sensitivity. It is full of phosphorus and calcium that form a protective layer around the teeth blocking stimuli. The minerals also help to remineralize enamel so with enough time dentin is protected with a renewed layer of enamel. Unfortunately many conditions contribute to dry mouth and a lack of beneficial saliva. These can include dehydration, alcohol or drug use, certain prescription medications, and some illnesses. Also different people naturally produce different amounts of saliva. People also need to be consuming enough phosphorus and calcium in their diet to make sure the saliva has enough vitamins to remineralize the teeth. A list of foods that contain the highest amounts of phosphorus are seeds (pumpkin and squash), cheeses, fish like salmon or carp, shellfish, nuts, pork, beef, and dairy. Foods containing the highest amount of calcium include dairy (milk, cheese, yogurt), sardines, dark leafy greens (spinach, kale), white beans, salmon, figs, and soybeans. While it is best to get your nutrients from healthy foods, supplements can be taken to enhance the mineral content in your body. In the past many dentists would simply recommend a sensitivity toothpaste and send patients on their way. This treatment is only effective for some patients, while others need more to treat their pain. Dental hypersensitivity used to be considered a minor issue by dentists because it does not pose a general health threat to patients like caries or gum disease do. However, it is a chronic condition that can seriously affect a patient’s quality of life. There are a number of new products specially designed to treat hypersensitivity using a variety of chemicals. Patients should speak with their dentists about what options are right for them. Dentists can apply fluoride and other chemical varnishes to the area of exposed dentin to protect the areas from contact and to promote remineralization of the enamel. With proper remineralization this treatment can be a long lasting option for patients. 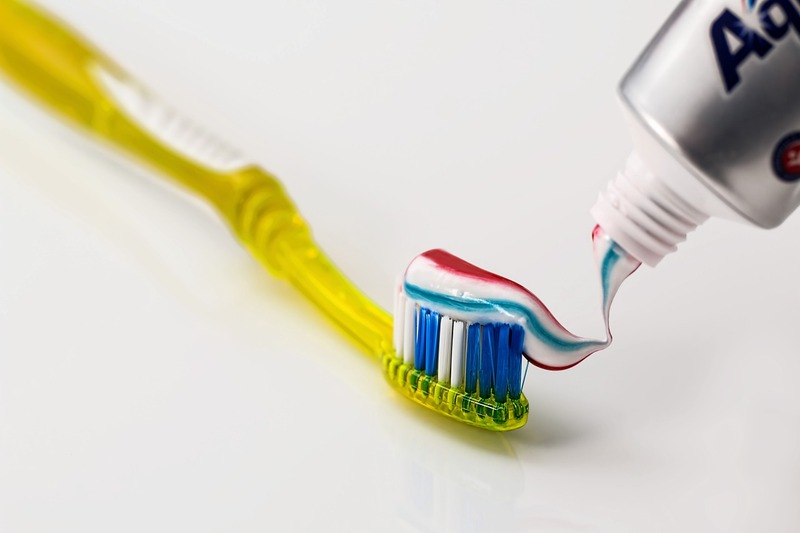 The FDA just recently cleared the first silver diamine fluoride for use in the United States. The product is called Advantage Arrest Silver Diamine Fluoride 38% and is produced by Elevate Oral Care LLC and Advantage Silver Dental Arrest LLC. Advantage Arrest underwent 8 years of testing to prove its safety and efficacy. When applied to cavities, Silver Diamine Fluoride has greater abilities to stop formed cavities and prevent further cavities from developing. It also hardens the enamel around the dentin of the teeth to reduce sensitivity. Advantage Arrest is fairly pricey, but consult with your dentist about getting Silver Diamine Fluoride applications. There are also a number of at home treatments patients can now use to protect themselves from the pain of hypersensitivity. Colgate has recently released their Sensitivity Relief Pen. Patients brush the pen over areas of tooth sensitivity and the pen releases small amounts of a glycerin-based gel containing a ProArgin substance. ProArgin is made up of arginine, bicarbonate, and calcium carbonate which form together to create a barrier around the tooth effectively blocking open dentin tubes from stimuli. Crest, too, has come out with a new product to treat sensitivity. Similar to their white strips technology, they have created mouth strips that adhere to both the gums and teeth. Users apply the strip directly over areas of sensitivity, half on the tooth, half on the gums. The strips release oxalate crystals that bind around the tooth during the 10 minute application. The crystals effectively block stimuli from reaching dentin tubes. Patients can use multiple strips to cover multiple areas but should only use one strip per area per day. Daily application will increase sensitivity protection. One application can protect teeth against sensitivity for up to one month. Another product is Enamelon Preventive Treatment Gel. This gel offers impressive mouth protection with lower levels of fluoride for people concerned about having too much fluoride exposure. Compared to most commercial toothpastes containing 5000 ppm of fluoride, Enamelon only has 970 ppm. According to an in-vitro study by Therametric Technologies, Enamelon’s gel reduced tooth solubility by almost 57%, whereas normal fluoride toothpastes only reduced it by around 18%. This means when a tooth is exposed to acids from bacteria, foods, and drinks, the enamel will resist acidity three times more than a regular fluoride toothpaste. It also helps with sensitivity by creating a barrier of fluoride, calcium, and phosphate ions around the teeth. Enamelon also has the herb Splianthes, which helps to promote saliva production after brushing. One of the more unique and tasty options to help with dental sensitivity is BasicBites® Soft Chews from Ortek Therapeutics, Inc. and Stony Brook University School of Dental Medicine. These chocolate flavored chews are eaten twice a day and contain arginine bicarbonate, calcium carbonate. The arginine helps keep the mouth in the healthy pH range necessary to both prevent tooth decay and allow of tooth remineralization. 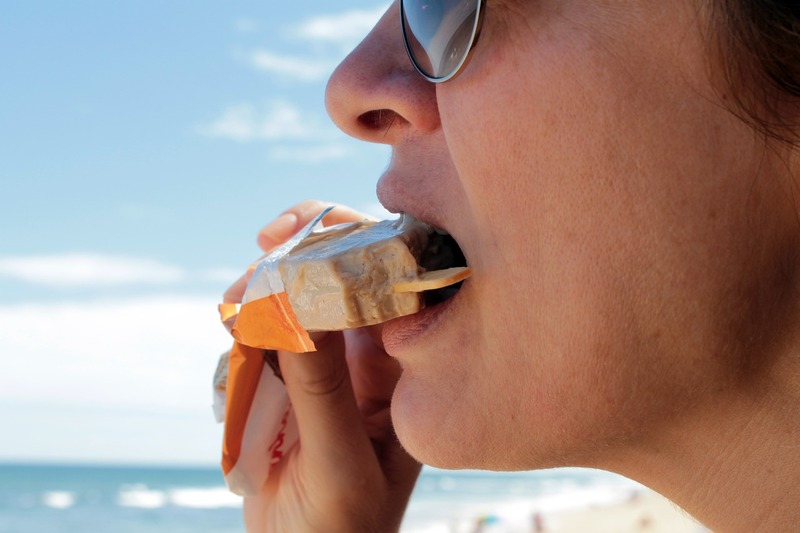 Even when a patient consumes sugar, the BasicBites Soft Chews are shown to keep the oral pH in the healthy range between 6.5 and 7.5 for hours. Acidic conditions are what cause erosion, loss of enamel, and tooth decay which all contribute to sensitivity. By preventing this acidic drop in pH, the soft chews prevent that enamel loss. Teeth also only remineralize their enamel naturally when the pH of the mouth is at the healthy level. By keeping the mouth at this level with the Soft Chews, the teeth have much more time to remineralize teeth throughout the day resulting in healthier teeth. Enamel restoration allows creates protection around the dentin to reduce sensitivity. The Soft Chews contain calcium to further assist the remineralization process. Don’t live with painful dental sensitivity. Everyday new innovations are introduced to the market to help protect patients from the suffering cause by hypersensitivity. At Smiles on Bristol Dental in Santa Ana, CA, we are committed to making sure you have the products and treatments to live a healthy and pain-free life! This entry was posted in Uncategorized and tagged dentist, dentistry, santa ana on July 29, 2015 by meara. At your first appointment with the dental experts, Dr. Kalantari and Dr. Arcila of Smiles on Bristol Santa Ana Dentistry, you will be instructed in proper at-home dental routines to ensure you maintain healthy teeth and gums between dental visits. The most important procedures to maintain at-home are brushing at least twice a day and flossing at least once a day. Brushing is most effective when done right before going to bed so the mouth has limited amounts of bacteria overnight. Many people have decreased saliva production while they sleep which means their mouths are less protected from tooth decay. The second brushing can be done right after waking up in the morning or after the first meal of the day. Brushing after the first meal will provide greater daily protection as it will clean out sugar and bacteria immediately after eating, but when that is not possible, brushing first thing is effective as well. Flossing can be done whenever is most convenient for the patient. Doing it before bed may have the same increased benefits as brushing before bed. When flossing, patients should slide the floss along the sides of one tooth before bringing it up the side of the adjacent tooth. This will ensure patients are getting below the gum and cleaning out any hiding bacteria. Patients can also opt for an oral irrigator that uses pulses of water to clean out bacteria and food from between the teeth. Many studies have been done on oral irrigators and they have been shown to be gentler for sensitive patients while at the same time remaining as effective or more than regular string floss. Patients wanting further protection can brush their tongues to remove bacteria build up and can use either fluoridated or fluoride-free mouthwash to boost tooth restoration and kill bacteria. Drinking water throughout the day will also help saliva production and will help clear out lingering sugars. This entry was posted in Uncategorized on July 27, 2015 by meara. Your child is your number one priority. At Smiles on Bristol Dentistry, we make it our priority to deliver the best of the best in pediatric care so you can be sure your child is safe and happy. We strive to deliver unparalleled service for both you and your child every time! At Smiles on Bristol Dentistry, we treat every patient like family. We want every visit to feel less like a trip to the dentist and more like a visit to an old friend. Our aim is to make our services as accessible, enjoyable, and as comfortable as possible. This includes making our offices especially kid-friendly. While most children have a fear of the dentist, none of them are born with that fear. By taking your child to our comfortable and inviting office, we can work to sooth any fears your child has of the dentist. We make sure to go slowly and explain every step so children will not be afraid of the strange sounds and sensations. Our Santa ana staff and Santa Ana Dentist Dr. Danial Kalantari make a special effort to use pleasant, simple words to describe each treatment. We want you and your child to feel at ease from the moment your family arrives at our office. We are also more than happy to answer any questions you or your child may have. For a child, properly brushing their teeth can be a challenge. In addition, many popular processed foods for children are over-flowing with sugar. This means children’s teeth have a higher risk of developing tooth decay and cavities. To help your child protect their teeth, Dr. Kalantari will apply a dental sealant to your child’s teeth. Dental sealants are a type of nontoxic plastic resin that can be painted onto the teeth. It will then bond to the tooth enamel and harden into a barrier around the tooth. This barrier fills up all the crevices of the tooth where plaque tends to collect. Most toothbrush bristles cannot easily clean out the small crevices which allows plaque to grow and attack the surrounding tooth. The sealants create a smoother surface that keeps plaque away from the teeth and is more easily accessible to brushing. Sealants are usually applied right after a child’s permanent teeth have come in. They last for a number of years but are only effective if they are completely intact. If your child’s sealants come off, contact Smiles on Bristol Dentistry, and schedule an appointment for your child’s teeth to be re-sealed. This entry was posted in Uncategorized and tagged dentist, dentistry, santa ana on July 24, 2015 by meara. Dental experts, including dentists Dr. Kalantari and Dr. Arcila of Smiles on Bristol Dentistry in Santa Ana, Ca, know that getting patients to floss is an uphill battle. According to a recent survey by Harris Poll as requested by the American Academy of Periodontology, 27% of adults lie to their dentists about flossing. Only approximately 15% of the population actually regularly flosses. Unfortunately, skipping flossing can lead to gum disease. According to the CDC, approximately half of adults over 30 have some form of gum disease. For adults over 65, that number jumps to 70%. Why should people worry about a disease that is so common in the population? Most people with periodontal disease have gingivitis but do not develop past that point. Gingivitis is characterized by red, swollen gums that have a tendency to bleed during brushing and flossing. On its own, gingivitis generally does not cause too many issues for a person. However, people with gingivitis have a much greater chance of developing a worse form of periodontal disease. Additionally, as gingivitis is an infection of the gums, this means the body’s immune system is in a constant battle. Chronic usage of the immune system has been shown to reduce its effectiveness. When studying persons with chronic infections, researchers have found that, while they have an increase in white blood cells, the white blood cells do not stay with the place of infection. The longer an infection has been going on, the more the white blood cells leave the infection and appear to wander the body not doing much of anything. This means that for people with chronic infections, their immune system no longer fights the original infection with vigor, but also that the body gets worse at knowing how to tackle infections overall. This may contribute to why people who suffer from poor dental health also seem to struggle with worse health overall and an increased risk for heart disease and endocarditis. For people who contract full periodontal disease, serious complications can occur. Periodontal disease breaks down the gum and attacks the bones of the mouth. This can lead to receding gums, tooth loss, and infections and loss of the bones. Signs of periodontal disease include red, swollen gums that bleed easily during brushing and flossing. It also includes persistent bad breath, painful chewing, sensitive teeth, and loose teeth. Besides poor home dental care, risk factors for periodontal disease are genetics, smoking, stress, diabetes, alcohol use, crooked teeth, auto-immune disorders, dry mouth, and female hormone changes. Most people are aware that smoking causes huge damage to the mouth, but a recent study by Brazilian researchers shows that alcohol use, too, can hugely impact the mouth. The study found that the frequency of alcohol consumption systematically matched an increased rate of periodontal issues. For gingivitis, most dentists will simply prescribe their patients a specific at-home care routine and recommend patients continue routine dental visits to monitor the condition. For more advanced conditions, dentists may recommend a scaling and root planing procedure. 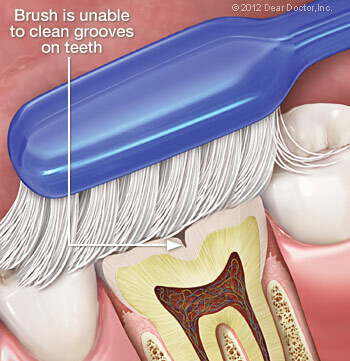 This procedure refers to deep cleaning under the gum line. Dentists will “scale” the teeth, that is, they will scrape off stuck on plaque from below the gum line. Root planing then smooths gritty areas on the teeth to eliminate places for bacteria to gather. Sometimes the deep cleaning is all that is required. In other instances, dentists will place antimicrobial medicine in the space between the tooth and the gum, called the gum pocket. This medicine helps to kill any remaining bacteria and promotes healing of the gum pocket. For patients where deep cleaning and medicine is not enough, surgery is usually required. One such surgery is called flap surgery. Dentists will pull back the gum line and clear out hard to reach plaque. Once the area is cleaned, they will suture the gums back to the teeth to return gum pockets to a healthy size. For patients with bone or gum damage, dentists may also recommend bone or tissue grafts to replace lost tissue and encourage new tissue growth. For anyone curious as to whether to floss before or after brushing, studies show that there is not conclusive data to prove one is better than the other. Some dentists recommend that patients floss before they brush to get it out of the way. Since a lot of people thoroughly dislike flossing, this forces them to get it done first. Other dentists recommend patients floss after brushing because there is a possibility that this will help push toothpaste into the hard-to-reach places of the teeth to keep them better protected. Because when people floss does not have significant impact, the dentists at Smiles on Bristol Santa Ana Dentistry simply recommend patients find a routine that works for them and stick with it. Scientists have also been working hard to find new ways to treat and prevent gum disease. Researchers in Shanghai, China, have been experimenting with a derivative of graphene called graphene oxide. They conducted the study in search of new antimicrobial substances to combat the rise in antibiotic-resistant bacteria. Studies used graphene oxide in carbon nanosheets placed on infected areas. The studies showed that graphene oxide was able to help kill and effectively prevent new growth of a variety of bacteria that plague the human mouth without causing damage to the human cells. Additionally, researchers at the University of Michigan have discovered that the enzyme, Arginine, an essential amino acid, helps to fight cavities and gum disease. Although researchers are not sure how, it appears arginine helps to get rid of dental plaque. Scientists believe it works by somehow disrupting the way plaque naturally functions and keeps it from sticking to the teeth, thus preventing it from doing damage. Periodontal disease is a serious issue that should not be ignored. The best way to know if you are suffering from periodontal disease is to stop in to your local dentist’s office and ask for a screening. For people in the Santa Ana area, the dentists at Smiles on Bristol Dentistry are highly trained at spotting and treating periodontal issues. This entry was posted in Uncategorized and tagged dentist. dentistry, santa ana, santa ana dentist on July 22, 2015 by meara. Year after year you go to the dentist for checkups and cleanings, and while you probably know the various different steps in a general sense, Santa Ana dentists, Smiles on Bristol Dentistry, want you to be informed on what exactly goes on in your mouth and why. First of all, regular dental checkups are important because they clean the teeth more thoroughly than most everyday brushing and flossing can accomplish. Dentists can remove the built up dental calculus and tartar that causes cavities and is too hard for people to tackle at home. Dental checkups are also important because they allow your dentist to assess your mouth for any issues such as cavities, gum disease, or the early stages of oral cancer. Dentists can spot issues before they become real problems and can offer preventative measures so the issues never develop into something more malignant. When a person goes to a new dentist for the first time, they often receive a comprehensive exam rather than a typical dental exam. Dentists will also usually have their patients update their records with a comprehensive exam if there has been a long time since the last comprehensive exam. During one of these exams, dentists will examine the head and neck of the patient to check for irregularities or swelling in the lymph nodes. Swelling indicates an infection the dentist would need to address. They will then inspect the soft tissues of the mouth and upper throat, looking for inflammation, sores, or growths. After the soft tissues, the dentist will examine the patient’s gums looking for redness and irritation indicative of gum disease. They will also measure gum pockets and check for any gum recession. Gum pockets refer to the amount of space between a tooth and the gum before it connects. The gum does not attach to the tooth at the very end. The tooth and gum are connected with ligaments. Sometimes these ligaments are weakened and broken down by the substances in a person’s mouth. When the ligaments break down, a pocket a space develops between the tooth and the gum. The deeper the pocket, the deeper plaque can reach the tooth and cause decay. Healthy gums have a little bit of a pocket. Dentists will use a small implement lined with markers to slide between the tooth and the gum. This will tell them whether the gum pocket is at a healthy level or if it has developed into an unhealthy size. After those assessments, the dentist will look at the occlusion of the teeth which refers to how the upper teeth come together on top of the lower teeth to form the bite. The dentist may just make a visual observation, or they may have the patient bite on a piece of wax for a more detailed depiction of the occlusion. The dentist will then perform a thorough examination of the teeth, checking for any issues. They will usually use a metal implement called an explorer to check for decay in the teeth. Parts of the tooth weakened by decay feel softer under the pressure of an explorer than healthy tooth. Dentists will also inspect any restorations of the teeth (crowns, fillings, bridges, etc.) to make sure they are all in good repair. Lastly, for a comprehensive exam, dentists will have the patient undergo thorough x-rays of all parts of the mouth so the dentist has them on record. This reduces the amount patients will need follow-up x-rays, therefore reducing the amount of radiation they are exposed to. 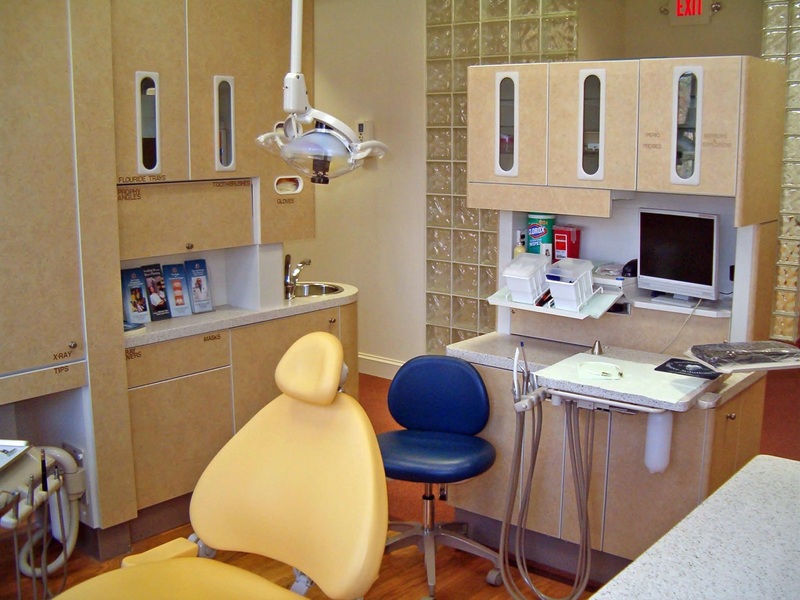 For a regular dental exam, most of the procedures will be performed by a dental hygienist. The hygienist will start by removed the built up dental calculus with an ultrasonic instrument. This tool is used on the teeth, vibrating and breaking apart hardened tarter. It is best for removing larger pieces of tarter. 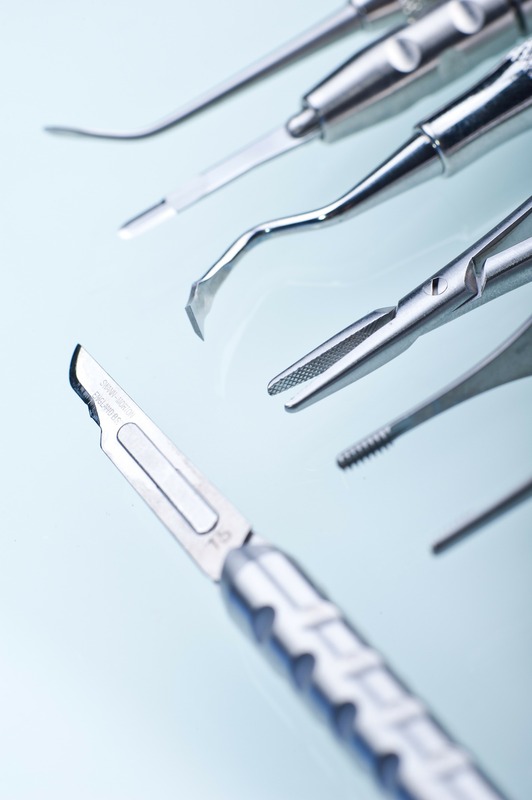 For smaller pieces, the hygienist will often use what are called scalers and curettes. They are metal tools with hooked or looped ends than can be used to scrape off the remaining tarter. Each tooth is scaled one at a time to make sure no tarter is missed. After using the scalers, hygienists will use a polisher to smooth the teeth. The polisher is similar to a spin-brush toothbrush, but instead of bristles at the end, there is a small rubber cup. The hygienist will fill the rubber cup with a paste made of fluoride and a lightly abrasive substance. As the polisher goes across the teeth, it rubs down bumps and imperfections leaving teeth smoother. This helps prevent plaque from having anywhere to attach onto the teeth. Flossing is usually done after the polishing is finished. Hygienists will also check the mouth for areas of concern. They are not allowed to make diagnoses but they advise the dentist of any issues they spot so the dentist can make the proper diagnoses. Should a patient’s mouth require more than a physical and visual examination, dentists may have the hygienist take x-rays of the teeth to help the dentist make an accurate diagnosis. Most dentists such as the Smiles on Bristol Santa Ana Dentistry will not require x-rays every check-up to help limit the amount of radiation their patients are exposed to. After the cleaning is complete, the dentist will then check on the patient. He or she will double check the cleanliness of the teeth, often times removing especially difficult pieces of tartar that the hygienists was unable to remove. The dentist will give a thorough examination of the mouth, gums, and teeth to check for issues. They will use the explorer tool to see if there is any noticeable tooth decay. After they complete a thorough exam, they will advise the patient of any issues that were found and treatment options available. This entry was posted in Uncategorized and tagged dentist, dentistry, santa ana, santa ana dentistry on July 20, 2015 by meara. A dentist’s office, like the Santa Ana Smiles on Bristol Dentistry office, has a number of different professionals that work under their roof. While most people generally only think of the dentist as the care provider at a routine dental visit, most patients will actually have a number of different people work on their mouths besides the overseeing dentist. For routine dental checkups, patients are often treated first by a dental hygienist. Hygienists take care of the initial cleanings of a dental checkup. They are specially trained to help teach patients how to create the best at-home dental routine for them. They watch for issues with periodontal (gum) conditions for their patients and let the overseeing dentist know of any issues. They will sometimes work more independently from a dentist such as in a senior care home. Not only do they guide patients in creating a dental routine, but they also instruct patients on how to brush, floss, and perform other at-home dental procedures correctly. Many are also trained in dental radiology so they can take dental x-rays of their patients. Most dentists’ offices also have dental assistants. Dental assistants work more closely with dentists by helping with dental procedures. Unlike dental hygienists, dental assistants generally do not work directly with a patient’s mouth. Their tasks can include prepping a patient for surgery, sterilizing equipment, aiding in dental procedures by handing the dentist different tools, and constructing temporary crowns while the permanent ones are created in a dental lab. Some are also trained to develop x-rays and take oral impressions. Dental technicians tend to help patients more remotely. They tend to work in dental labs and are in charge of creating dental prostheses. They make both removable and fixed pieces that can include crowns, veneers, dentures, bridges, implants, and orthodontic appliances and mouth guards. They will use impressions and photos to create molds and then construct the restorations to match the original teeth. Most people will never meet their dental technician(s) but the dental technician’s work is integral for many dental procedures. Dentists are mostly in charge of diagnosing patients and taking care of the surgical portions of dental procedures. They double check a hygienist’s cleaning, handle prosthesis procedures (crowns, bridges, etc. ), and perform root canals, extractions, and periodontal therapy. They are also in charge of prescribing medications such as antibiotics and painkillers. This entry was posted in Uncategorized and tagged dentist, dentistry, santa ana, santa ana dentist on July 17, 2015 by meara. A dental implant is a small, usually titanium, peg or screw that a dentist will insert into the jaw bone. It is the support structure that allows replacement teeth to be permanently affixed in the mouth. Essentially, it acts as the artificial root for the fake tooth. Fake teeth are specially made for each patient to match their own teeth. When done by a skilled professional such as Santa Ana Dentists Dr. Danial Kalantari or Dr. Fernando Arcila of Smiles on Bristol Dentistry, a replacement tooth fitted to a dental implant should look completely natural with the adjacent teeth. Dental implants have about as much risk as a normal dental extraction. Usually, anyone who can safely undergo a routine extraction can receive a dental implant. It is important for patients to have healthy gums and enough bone mass to receive the implant prior to the procedure. Certain patients such as smokers, people with chronic disorders such as diabetes, and/or patients that have had radiation therapy should use caution before getting dental implants. If you are considering implants, talk to Dr. Danial Kalantari to see if they are right for you. Before any other step can be started, patients interested in dental implants will work with their dentists to create a plan, individualized for the patient, about how to proceed. The plan addresses your specific needs and is prepared by Dr. Danial Kalantari or Dr. Fernando Arcila, both of whom are trained and experienced in oral surgery and restorative dentistry. After a plan has been approved, the dentist will surgically place an implant post into the bone underneath the area of the missing tooth. The bone will grow onto the implant, affixing it permanently in place, however the bone usually takes between 6 to 12 weeks to properly heal. The overseeing dentist will double check on the patient to make sure that the implant is fully healed. Once that happens, they will attach what is called an abutment to the post. The abutment is a key piece that fastens the replacement tooth to the post. To make the new tooth or teeth, Dr. Danial Kalantari will make impressions of your teeth. Based off those impressions, the replacement tooth, called a crown, will be made and permanently affixed to the abutment. Dr. Danial Kalantari will also match the color and shape of the new tooth to your natural teeth to give you the most natural looking smile possible. This entry was posted in Uncategorized and tagged dentist, dentistry, santa ana, santa ana dentistry on July 15, 2015 by meara. Smiles on Bristol with Santa Ana Dentist Dr. Danial Kalantari offers many cutting edge procedures to help the dental health of their patients. 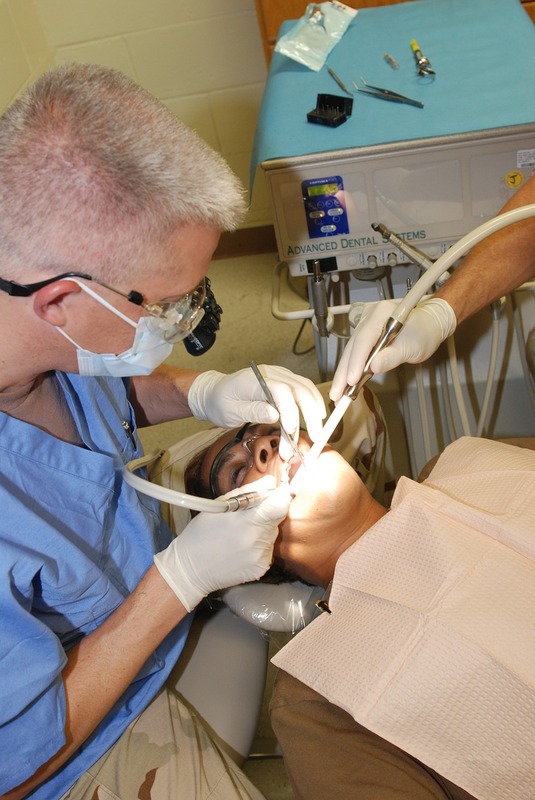 Some of these procedures include the use of VELscope, laser dentistry, and intraoral cameras. LED Medical’s VELscope Vx is a hand-held device that is designed to be easy-to-use and cost efficient. The device was developed by LED Medical and the British Columbia Cancer Agency. Approved by the FDA and Health Canada, it works by showing dentists the fluorescence of oral tissue which changes when the tissue is affected by an abnormality. This allows dentists to noninvasively and precisely locate potential issues within the mouth. The VELscope will pick-up the abnormalities caused by a number of infections and diseases including pre-cancerous tissue and fully-developed oral cancer. The VELscope utilizes a single-use sterile VELcap cover to protect patients from germ transfer from other patients. Another innovative product offered by LED Medical is their Rayscan Alpha. This product is the newest advance in dental imaging technology. Rayscan offers both 2D and 3D images using radiography. Like x-rays, the Rayscan uses radiation but in much lower amounts than x-rays to prevent any possible side effects. It also has multi-functionality that dentists can personally configure to get the most useful type of image. 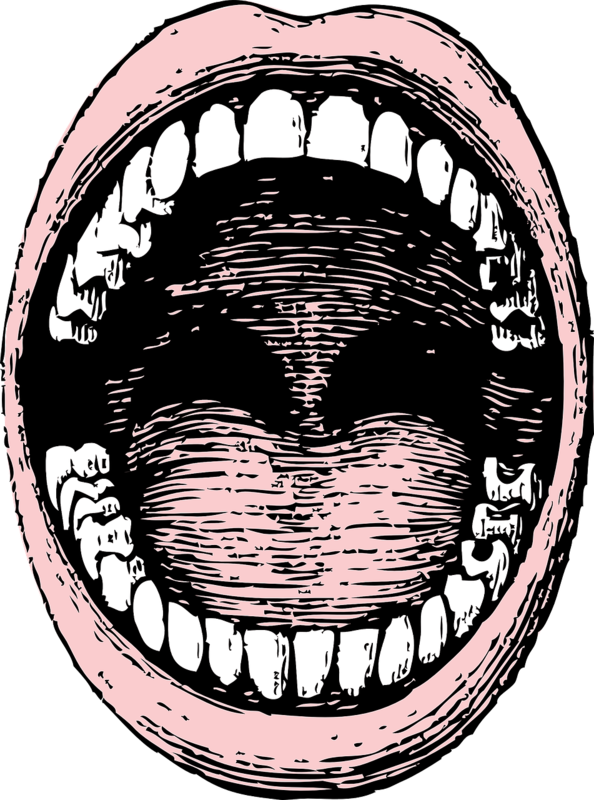 This ranges from panoramic pictures of the mouth to even simple forms of CT scans. Both the VELscope and the Rayscan can connect to LED Medical’s innovative cloud so that dentists can keep their image files collected, organized, backed-up, and easily accessible. Laser dentistry is also sweeping the dental world by storm. Easy, cheap, effective, with minimal clean up and high patient satisfaction, laser dentistry is a no-brainer investment. Some of the leading types of laser technologies currently on the market include the LANAP protocol, Fotona Lightwalker, Nightwalk, and the Waterlase. The LANAP® protocol is used to treat issues with gum disease, cutting away damaged gum tissue with ease and precision. Plus, the LANAP® protocol cauterizes the area and reduces the possibility of bleeding which decreases recovery times. The instant cauterizing also eliminates the need for stitches, making procedures less complicated for dentists and less uncomfortable for patients. No stitches removes the need for specific follow up appointments to check on the state of stitches. Patients then only have to return for a follow-up if they experience any issues during healing. While the LANAP protocol is mostly just utilized for gum work, the Fotona Lightwalker® and Nightwalk® can be used for a much broader range of procedures. They can cut through both hard and soft tissues and reduce the occurrence of bleeding in both. Additionally, the lasers sanitize the area of treatment greatly reducing the chance of infection after the procedures. The WaterLase® laser system adds a stream of water to the laser procedure to soothe the treatment area. It is often more gentle than other lasers and has such powerful pain relief, that often dentists will not need to give patients shots in addition to their procedure. Intraoral cameras are also furthering the digital dental revolution. These cameras allow dentists to take accurate pictures of patient’s mouths to provide more accurate diagnoses and to help dentists show their patients what the problems are. Modern intraoral cameras, such as LED Dental’s new digital IC100 and IC200 are their first and second intraoral cameras to hit the market and offer imaging at 768 x 494 pixels, aspheric lenses and auto-focusing. Additionally most new cameras on the market also offer live video and auto-focusing. With these new technologies, Smiles on Bristol Dentistry in Santa Ana, Ca, can properly diagnose and treat patients in the most efficient, cost-effective, and pain-free ways possible. This entry was posted in Uncategorized and tagged dentist, dentistry, santa ana, santa ana dentist on July 13, 2015 by meara. Patients at Smiles on Bristol Dentistry will undergo simple x-rays that the Santa Ana dentists Dr. Kalantari and Dr. Arcila will then use to diagnose a number of different dental conditions. While most people only experience dental x-rays, there are a number of other oral radiology procedures called Oral and Maxillofacial Radiology. Besides traditional x-rays, Oral and Maxillofacial radiology also covers cone-beam and multislice CT scans, MRI, PET, ultrasound, cephalometric imaging, and intra-oral imaging. Cone-beam CTs use CT technology in a spiral around the patient to enhance resolution. Multislice CT has multiple scanners so that more information can be collected at once. CT scans use x-ray technology to create cross-section images of bodily structures rather than flat pictures. MRIs are used to produce highly detailed images of nearly any part of the body. PET scans are used to track different organ and body functions such as blood flow and oxygen use. Ultrasounds use sound waves humans cannot hear to generate images of different parts of the body by measuring the distance the waves travel before bouncing back. Cephalometric imaging measures the sizes and placement of teeth, jaws, and the skull to assist dentists in coming up with treatment plans. Intra-oral imaging uses cameras and x-ray devices to get a picture of the internal structures of the mouth without being blocked by external bones such as the teeth. This entry was posted in Uncategorized and tagged dentist, dentistry, radiology, santa ana, santa ana dentist, x-ray on July 9, 2015 by meara.